One of the most important aspects of our business revolves around your business’ floors. At Domestic Uniform Rental, we take pride in providing top of the line floor protection products. These mats composed of Plush, High Twist, Heat Set, Nylon Yarn Pile on a 90 mil Nitrile Rubber Backing. Our mats are manufactured to retain their color, stay in place, and fit all of your business’ needs. Our mats value to your business can be demonstrated by the acronym S.P.A.C.E.– Safety, Protection, Appearance, Cleanliness, and Economical. In terms of safety, Domestic’s mats are perfect for preventing slip and fall injuries in the workplace. According to Mountville Mills, 80% of slip and fall injuries occur as a result of hazardous walking environments and improper footwear. Our mats, which also follow the American Disability Act guidelines, are designed to reduce these types of injuries by providing a non-slip walking environment with the help of a cleated backing. Along with protecting your employees’ and customers’ safety, our mats also protect your business’ floors. Soil, scuffs, and scrapes can all damage your floors which will eventually need to be resurfaced as a result of the wear and tear. 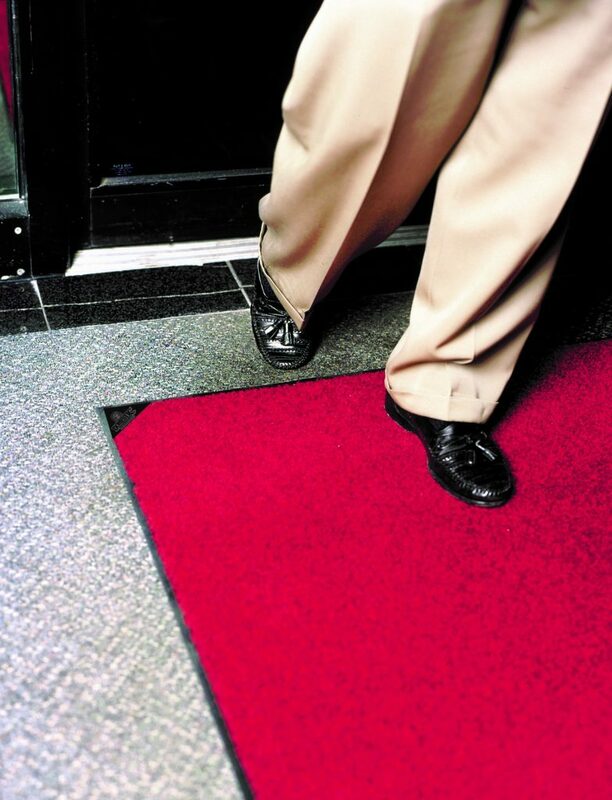 Not only do our mats protect your employees and guests, they also protect your facility by protecting your floors from unnecessary wear and tear. According to a survey conducted by Progressive Grocer, 91% of customers make a decision about where to do business based on appearance. Another survey conducted by the CDI stated that 42% of customers look to the floor to determine the cleanliness and appearance of a business. Domestic’s mats not only provide a practical use in terms of safety and protection, but also a professional and clean look enhancing the overall appearance of a business. 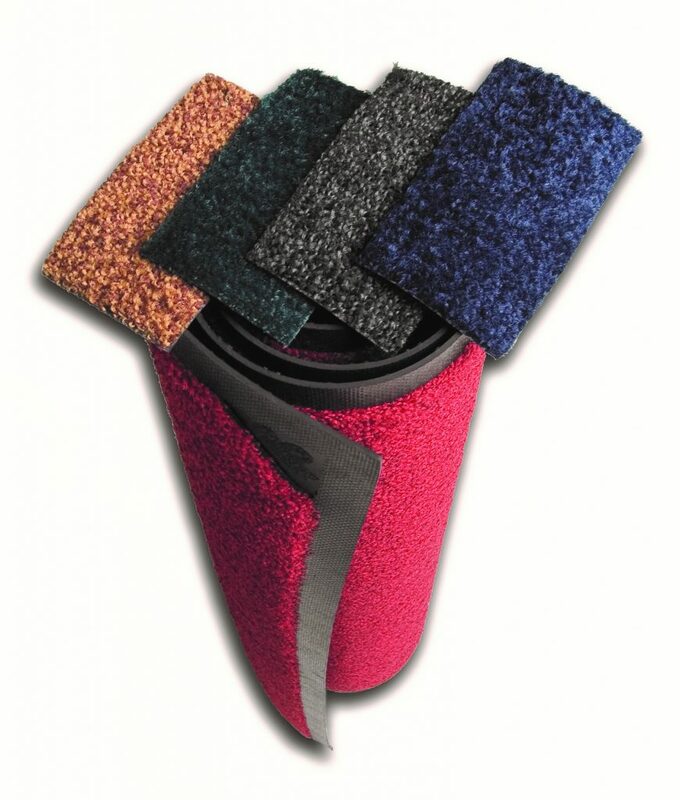 In terms of cleanliness, our mats provide unparalleled solutions to dirty floors. Unlike store bought mats, our rental mats provide a functional design to ensure that soil material isn’t tracked throughout your place of business. These mats are designed to allow the soil and moisture to pass through the yarn pile layer and collect below the surface, rather than allowing it to sit atop the mat defeating its purpose. With the regular servicing provided by Domestic Uniform Rental, your mats will always come back professionally cleaned and ready to be used once again. On the other hand, mats that may be store bought and are not laundered will not trap dirt as it enters your facility. It may slow it down, but eventually the dirt and dust will get tracked into your facility where it will need to be cleaned by your maintenance staff. Lastly, you may be asking yourself, how can it be cheaper to rent mats and have them regularly serviced? Properly functioning rental mats however, provide an economical option to reduce maintenance costs at your business. According to Mountville Mats, labor costs account for 90% of maintenance cost with 39% of all custodial work spent on floor care. Our services not only reduce those costs by decreasing the amount of resources spent maintaining the floor by protecting these areas, but we also decrease the cost of your business having to clean and care for the mats with our regular service. If you are interested in adding this product to your order or if you would like further information, please contact your local Domestic Uniform Rental office.